Ralph warns Flora not to pick that thirteenth bean. Everyone knows it's unlucky! Now that they're stuck with it, how can they make it disappear? If they each eat half the beans, there's still one left over. And if they invite a friend over, they each eat four beans, but there's still one left over! And four friends could each eat three beans, but there's still one left over! 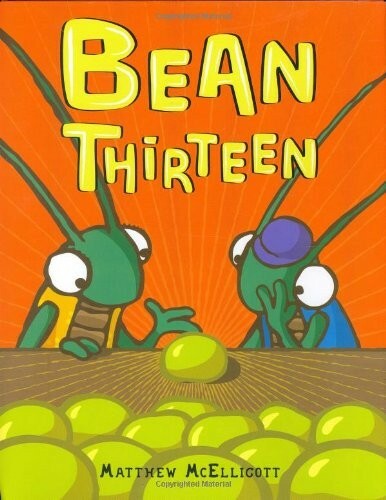 HOW WILL THEY ESCAPE THE CURSE OF BEAN THIRTEEN?! A funny story about beans, that may secretly be about . . . math! 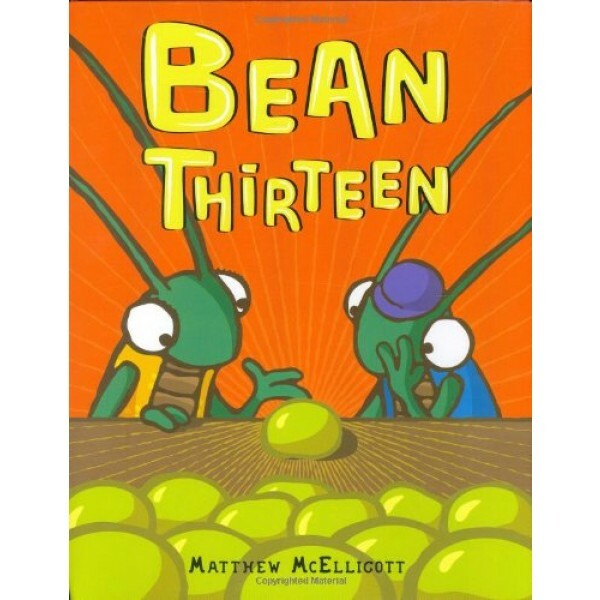 Sometimes you can divide, but you just can't conquer (the bean thirteen, that is).